The Brontosaurus is a very tall dinosaur. While they aren’t carnivores they are still very deadly. With their teeth most wouldn’t stand a chance. 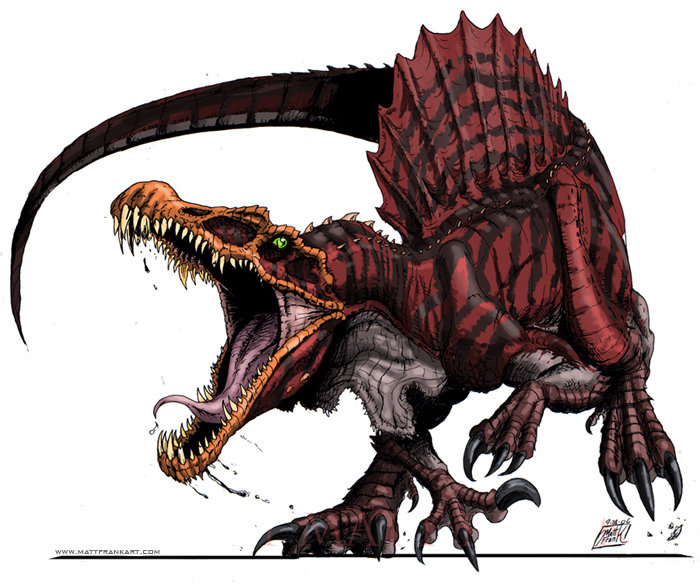 Of course The Spinosaurus is also a very deadly dino and won’t back down in a fight. Brontosaurus would put up a brave fight, but would lose in the end. Spinosaurus wins. This entry was posted in Battles, Brontosaurus Battles, Spinosaurus Battles and tagged Brontosaurus, Spinosaurus by dreager1. Bookmark the permalink. Actually Brontosaurus would win(You thought I’d say it was fake? Read this: http://www.popularmechanics.com/science/animals/a14948/the-brontosaurus-is-back/) On topic, Spinosaurus was adapted for hunting large fish, crocodilians and (maybe?) giant aquatic mammals. It wasn’t really built for combat against sauropods like Brontosaurus. Spinosaurus may have coexisted with Paralititan, a sauropod much larger than Brontosaurus, but it likely fed on ill,exhausted, old or young individuals NOT full size adults. The only chance I can think of is if it succeeded in gripping the Brontosaurus’ throat and cutting it and even that would be risky. Spinos are definitely a lot smaller (About a 20 feet difference I believe) but the Spinos are definitely strong fighters. Especially given how it was able to hold its own against the T Rex for a while in Jurassic Park. Granted, that is a movie, but just as how comic feats help Superman, the movie feats help out the Spino a little. Brontosaurus just seems like he would have a tough time moving around with the same level of agility and quickness that the Spino possesses. So then the Spino is actually larger than the Bronto or is the gap by more than 20 feet? 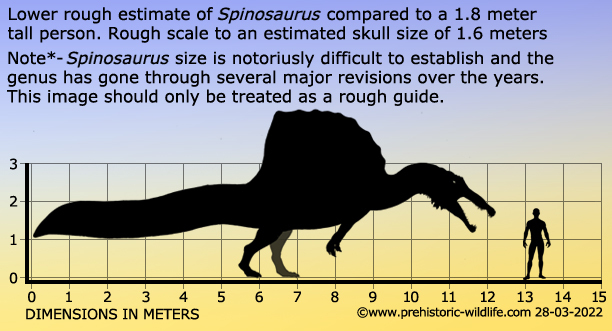 @Dreager1 The scaled spinosaur in the picture should actually be 18 metres so the gap is 4 meters(~13 ft) in length and 2 tonnes in weight, both in favor of Brontosaurus excelsus. Not that it matters because as you can see in the picture, Spinosaurus would be too clumsy on land. On the other hand if the fight was in water, Brontosaurus would drown. So it’s one fight that’s impossible to make fair. It’s like an elephant against a crocodile. Good point but Spinosaurus wasn’t evolved for killing sauropods; it evolved to kill fish. Had this Brontosaurus been a Paralititan, the result would be radically different. This one is understandable, I’ll say that as much. Is Dinosaur King worth watching? I love anime and prehistory and it does look good.